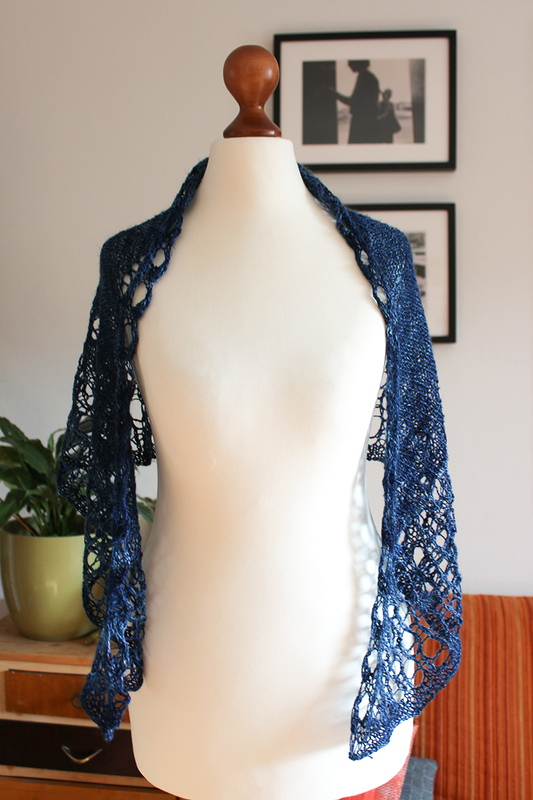 Milk Silk is an adjustable crescent shawl shaped without short rows. 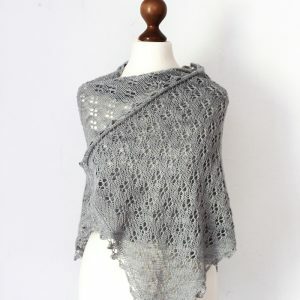 It features stockinette stitch and an easy lace panel and makes good TV knitting. 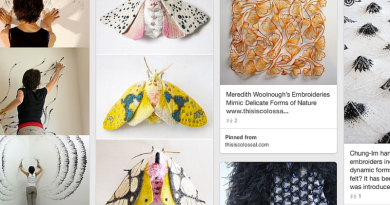 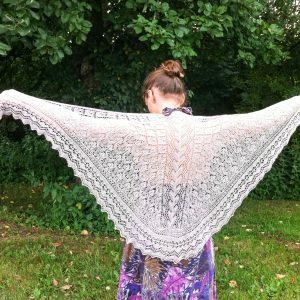 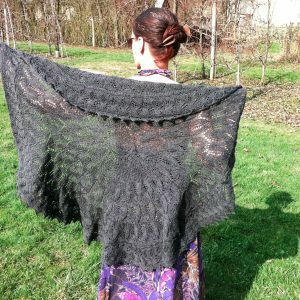 The sample shawl shown in the pictures used handspun yarn (milk fiber, 2ply, 13wpi) and can be replaced with any DK or sport weight yarn. 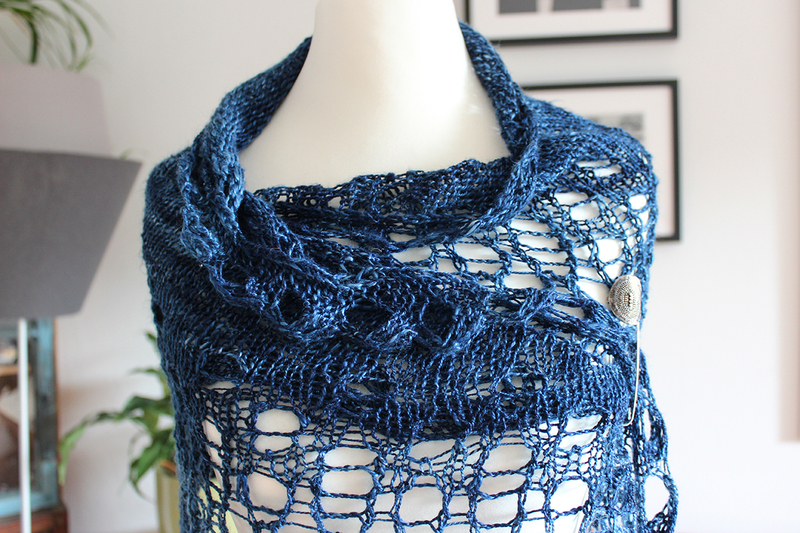 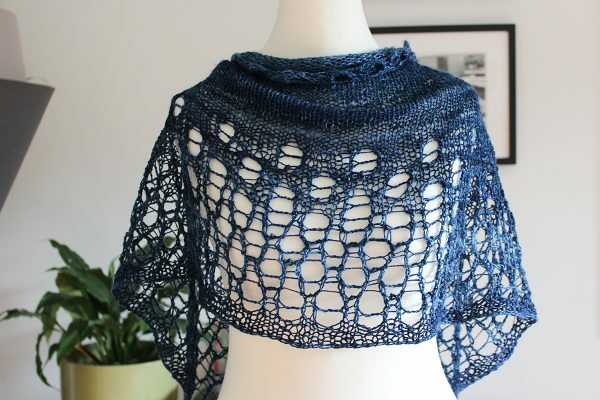 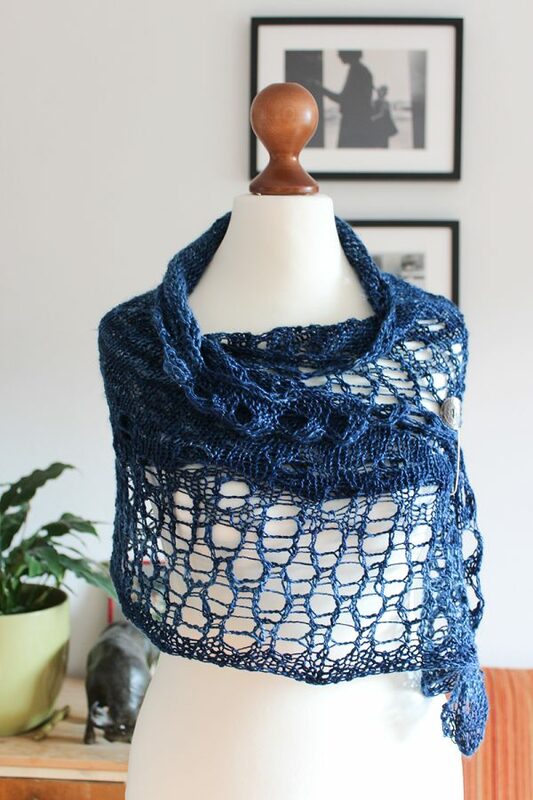 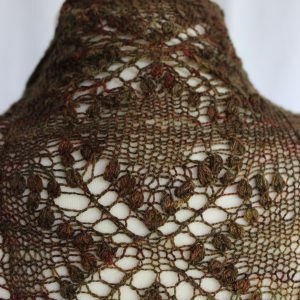 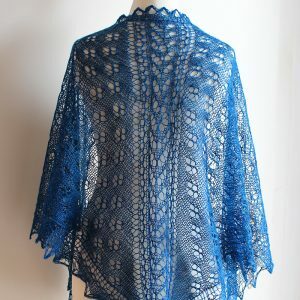 Finished size: Size is completely adjustable, this shawl can be easily resized. 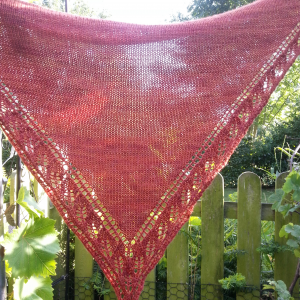 Sample shown measures 54 x 24 in (136 x 60 cm) after blocking.